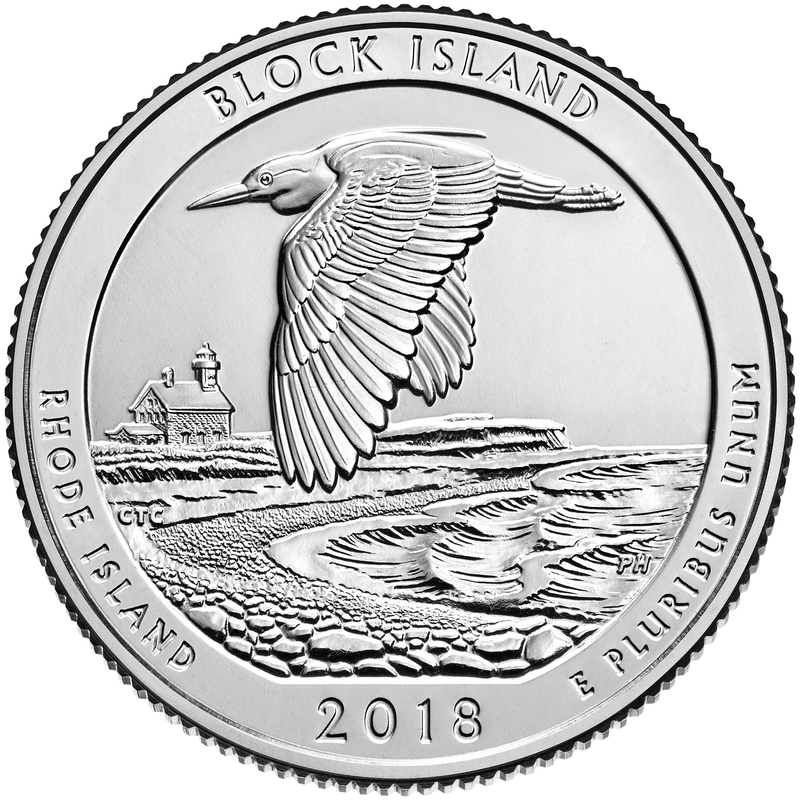 WASHINGTON – The United States Mint (Mint) will begin accepting orders for the America the Beautiful Quarters Three-Coin Set™ honoring Block Island National Wildlife Refuge in Rhode Island on Nov. 27 at noon Eastern Standard Time (EST). A durable plastic card holds the three coins and displays an image of Block Island National Wildlife Refuge and the Certificate of Authenticity. The America the Beautiful Quarters Three-Coin Set™–Block Island National Wildlife Refuge is priced at $9.95. Orders will be accepted at catalog.usmint.gov/ and 1-800-USA-MINT (872-6468). Hearing- and speech-impaired customers with TTY equipment may order at 1-888-321-MINT. Visit catalog.usmint.gov/customer-service/shipping.html for information about shipping options. The America the Beautiful Quarters Three-Coin Sets are also available for purchase through the Product Enrollment Program. Visit catalog.usmint.gov/shop/product-enrollments/ to learn more about this convenient ordering method. Note: To ensure that all members of the public have fair and equal access to United States Mint products, the United States Mint will not accept and not honor orders placed prior to the official on-sale date of Nov. 27, 2018, at noon EST. Visit www.usmint.gov/learn/coin-and-medal-programs/america-the-beautiful-quarters for additional information about the America the Beautiful Quarters® Program. Visit usmint.gov/about for information about the United States Mint. Visit usmint.gov/email-signup to subscribe to United States Mint electronic product notifications, news releases, and public statements.